We face social, economic, and ecological collapse in every corner of our world. Big Industrial Agriculture is a major contributor to this collapse. While having destroyed 75% of our soil, water, and biodiversity, and contributed to 50% of climate change, this model, that has its roots in war, produces only 30% food. The real food producers are our pollinators, soil organisms, and biodiversity and small farmers who – as co creators and co producers with nature – provide 70% of the food which is nourishing for the planet and people. Monsanto has emerged as the biggest destructive force in agriculture over the last 20 years using myths of GMOS, patents, free trade and toxics to monopolise our seeds and poison our food. This year during the Seed Freedom Call to Action from 2nd October to 16th October 2016, Navdanya will be co-organizing a Monsanto Tribunal as well as a People’s Assembly in The Hague from 14 to 16th of October. We invite you to organise People’s Assemblies, wherever you are, to reclaim our food system – Our bread and Our freedom. 14th – 16th October – The Hague, Netherlands: People’s Assembly for the Future of our Food and the Future of our Planet. 2nd – 16th October – Everywhere: Local People’s Assemblies for the Future of our Food and the Future of our Planet. 16th October: World Food Day – Everywhere: Monsanto Protests/Marches against Monsanto. People’s Assemblies for the Future of our Food and Future of Our Planet are self-organised events aimed at placing criminal corporations that threaten the health of our planet under a public trial. At any level; in communities, villages, towns, regions and countries, people are taking stock of the harm caused by Monsanto and other similar corporations to our environment, public health, scientific and regulatory independence and to our freedom and democracy. People’s Assemblies also aim at laying out a collective vision and participatory planning at a local level towards the GMO free, poisons free, fossil fuels free, patent free, “free trade“- free, corporate control free future we want and are shaping. Form a group of volunteers from different aspects of movements, such as: seed savers, gardeners, farmers, mothers, chefs, schools, local authorities, doctors, lawyers, citizens, etc… Find a public space (garden, farm, town hall, public square, community facility, church yard, school, college or university) where you can organize your local People’s Assembly between 2nd to 16th October and invite all friends and families, all movements and institutions to attend. The format is yours to shape -it can be a food festival with an organic meal/picnic and/or a seed festival for seed exchange and a commitment to not accept patents on seed. 1. Identify the harm Monsanto and co. have done in your local community and region. The role of Monsanto and its products in your area – Roundup, GMOs, Patents and Royalties, genetic contamination, attack on scientists, corruption of officials and elected representatives, dismantling and deregulating laws for safety and farmers’ rights to seed. Hold a public trial of the corporate criminals destroying our species, biodiversity, our health, the health of our children, our democracy. Chart the vision you have for a GMO free, chemical free future, as well as a vision for Seed Freedom and Food Freedom for 2020 and a transition plan on how to get there. If you wish, form discussion groups, create kids’ and adults’ drawings, vision boards, and artworks. Create a people’s alliance to continue the democratic process to stop the war criminals in our food systems and create a non violent, healthy and abundant food system. Sow the seeds of Life, Sow the seeds of Freedom. For more ideas/discussion points. check the draft agenda of the People’s Assembly at Monsanto Tribunal, which will be held in The Hague 14 – 16 October 2016. On 16th October, at the conclusion of the People’s Assembly at The Hague, organised as part of Monsanto Tribunal, your resolve, photos and video will be integrated with all others for a Planetary vision on the Future of Our Food, a vision growing from the grassroots in a self organised way, in contrast to the toxic project of Monsanto and other poison makers imposing their model of agriculture based on agrochemicals, GMOs, Patents on Seed, and destruction of democracy. If you are organising a Monsanto Protest on 16th October, read out your vision at the rally, break bread together, exchange seeds. Our Bread is Our Freedom. This World Food Day let us make a choice for Seed Freedom and Food Freedom, let us make a commitment to break free of corporate propaganda that imprisons us. 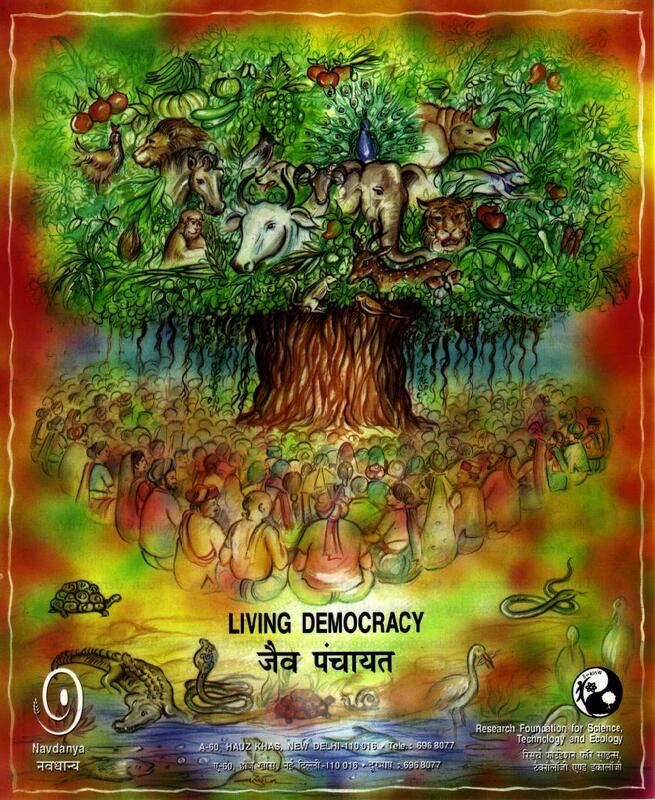 Let us make the Earth and Biodiversity our guide on seeding the future based on Seed Freedom and Food Freedom. The 2016 Corporate World Food Prize given on World Food Day has been announced for “Biofortification”. Corporate Scientists funded by Gates have been given at the Prize for inventing an Orange Sweet potato. But the Māori in New Zealand had developed kūmara, orange (Beauregard) sweet potato centuries ago. Gates is also funding the biopiracy research of Dr Dale of Queensland, who took the vit A rich indigenous bananas of Micronesia and declared it his invention by genetic engineering banana. Biopiracy of people’s Biodiversity and indigenous knowledge is not science or innovation. 107 Nobel Laureates (including a dead one) had to be mobilised to prop up the failed “golden Rice” to continue pushing GMOs. And even as Bt and Ht GMOs fail to control pests and weeds and instead create superpests and superweeds, Big Money and the Biotech industry it owns is trying to unleash exterminator technologies such as gene editing and gene drives. Extermination is a crime against nature and humanity. Biodiversity produces more nutrition than the “corporate “Biofortification” projects. On World Food Day let us celebrate Agroecology and our Rich Biodiversity, as alternatives that are superior to all the violent and failed tools that come from war and a militarised mind. Let us honour all beings, and our communities in their rich and vibrant diversity with marches and feasts, with fairs and festivals.